Ground Penetrating Radar Systems was recently called by a local contractor to a renovation project in downtown Columbus, Ohio. 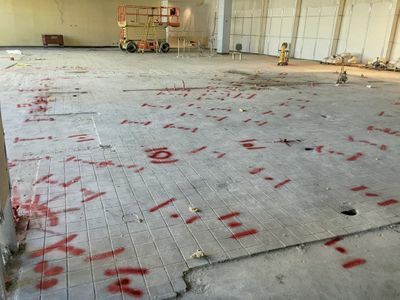 The scope of work on this project was to determine the location of any conduits, or utilities running within or below the slab, prior to saw cutting. The contractor did not want to damage, or replace any conduits during the process. GPRS, LLC. was able to use GPR equipment to accurately locate and mark out any conduits running through the proposed saw cutting area and marked them on the surface so that the contractor could avoid them. GPRS, LLC. was able to get to the job in a timely matter so the project could remain on schedule. GPR is an accurate and effective way of locating conduits, rebar, and post tension cables in a concrete slab.